You know that overwhelmingly wonderful smell that hits you when you enter an ice cream shop? 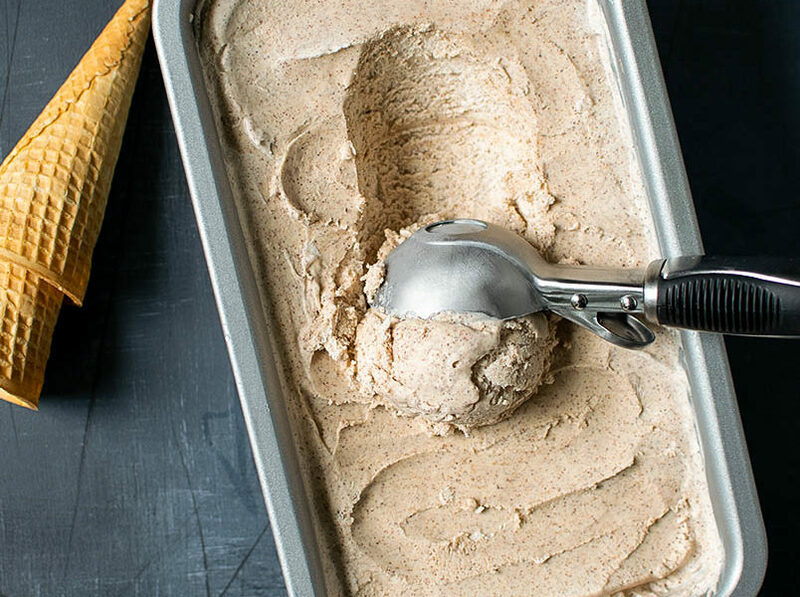 Swirls of every type of ice cream paired with the sweet aroma of homemade waffle cones? 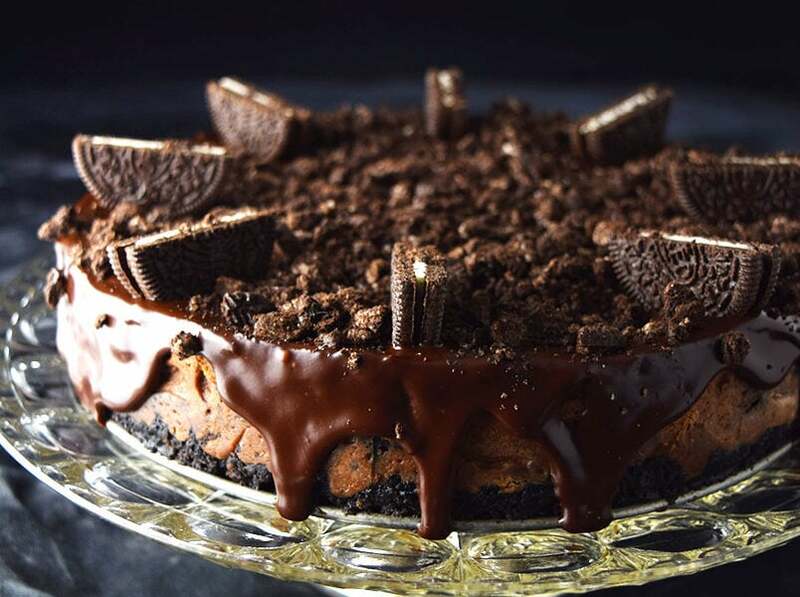 Yeah, that’s what your kitchen will smell like when you bake this beast. I made this today at 10AM and needless to say, it’s a heck of a way to start your Saturday morning. 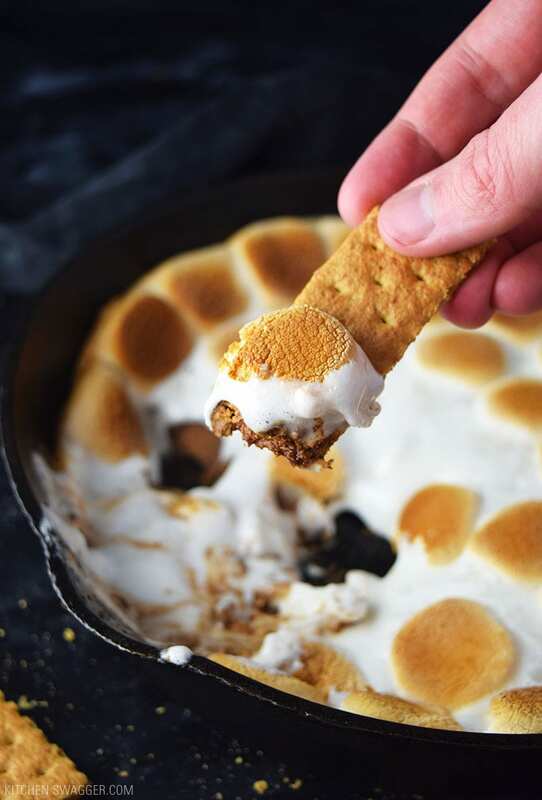 Skillet s’mores dip was actually a special request from one of my loyal readers eating her way through Kitchen Swagger (shout out Jennifer). An awesome idea—and because I need more desserts on this blog, I jumped right at the opportunity. 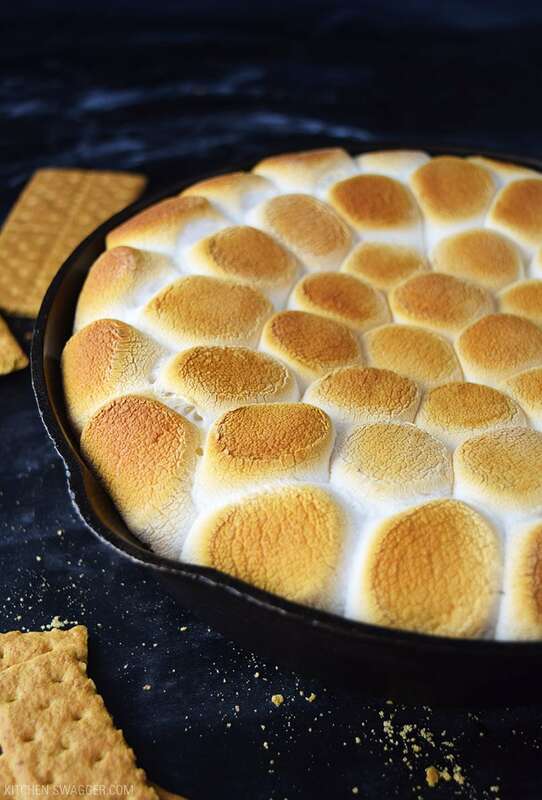 Now, I’ve had a variation of s’mores dip before, but it wasn’t made in a cast iron skillet and it wasn’t made with Reese’s. 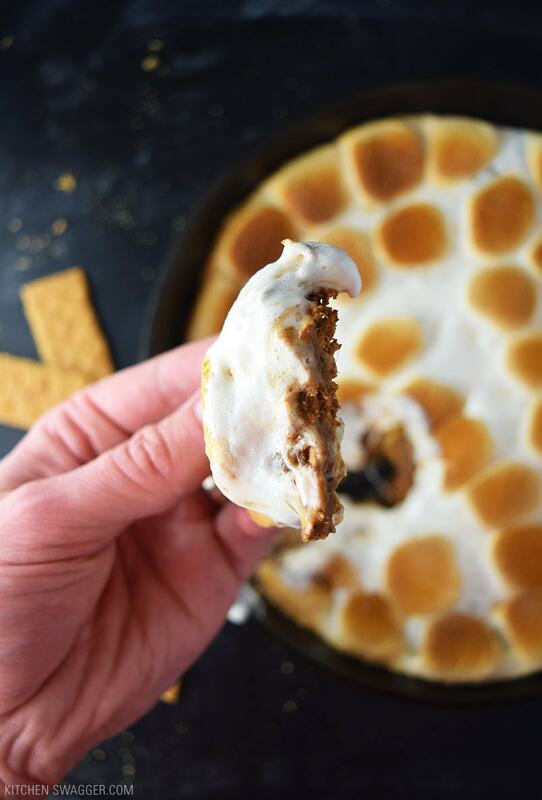 Ever have a s’more with a Reese’s instead of Hershey’s chocolate? They are electric (it’s like s’mores on crack). That was always my crews’ staple for camp fires or “bon bons” as we called them (…that and beer). 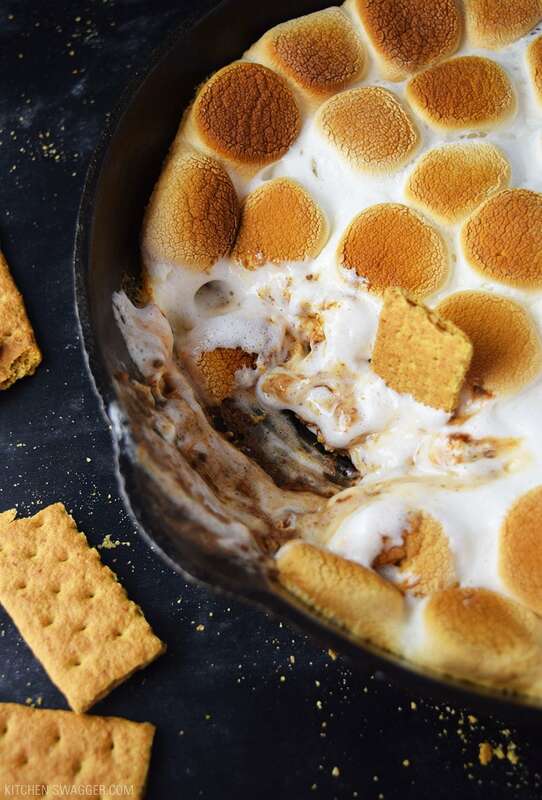 S’mores dip is an incredibly easy three-ingredient, app-style dessert that works for a crowd—no campfire necessary. It’s perfect as a make-ahead dessert if you’re looking to top off any occasion with something sweet. The baked marshmallows will form a golden crispy top and a gooey, melted inside. 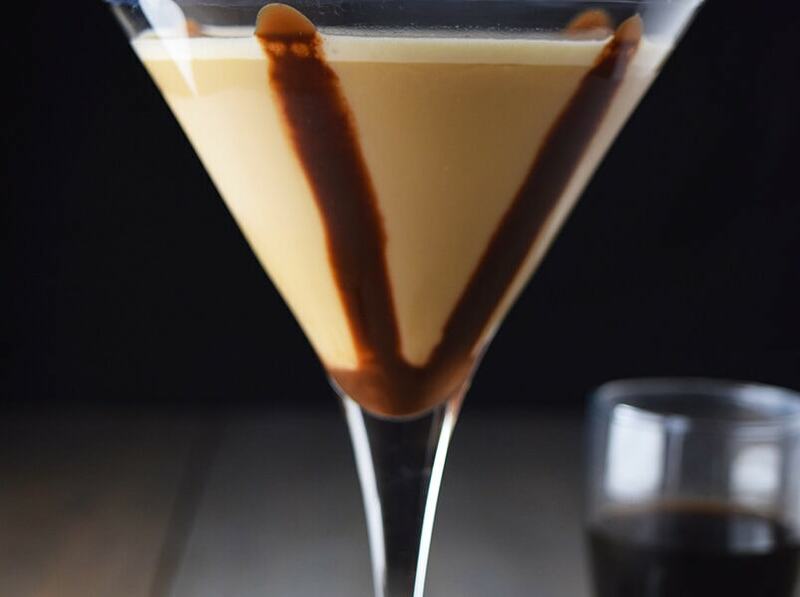 Paired of course, with melted chocolate and peanut butter. I don’t think I need to explain any further. 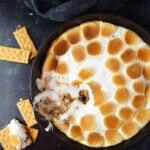 Serve with graham crackers broken into halves or quarters and get after it. Liberally spray the bottom and sides of an 8 inch cast iron skillet with cooking spray. 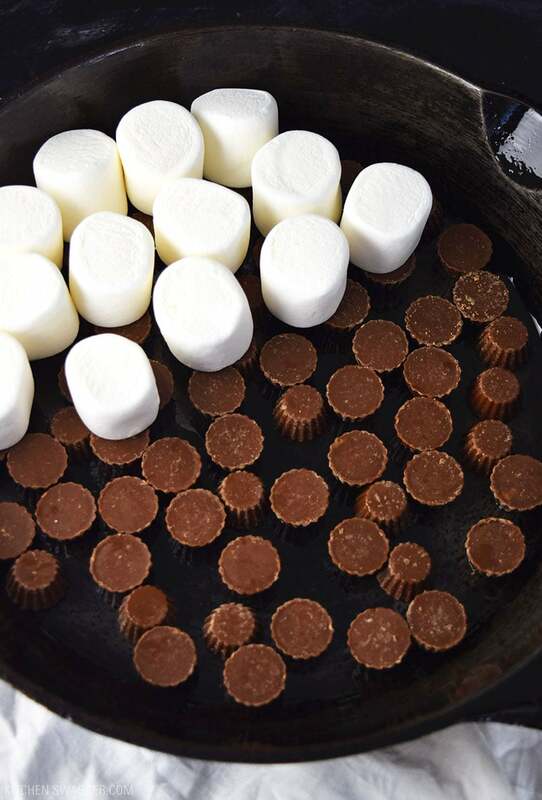 Line the bottom with Reese’s minis (flat side facing up or down, just not on sides). Tightly stack full bag of marshmallows on top of Reese’s, flat sides facing up and down. 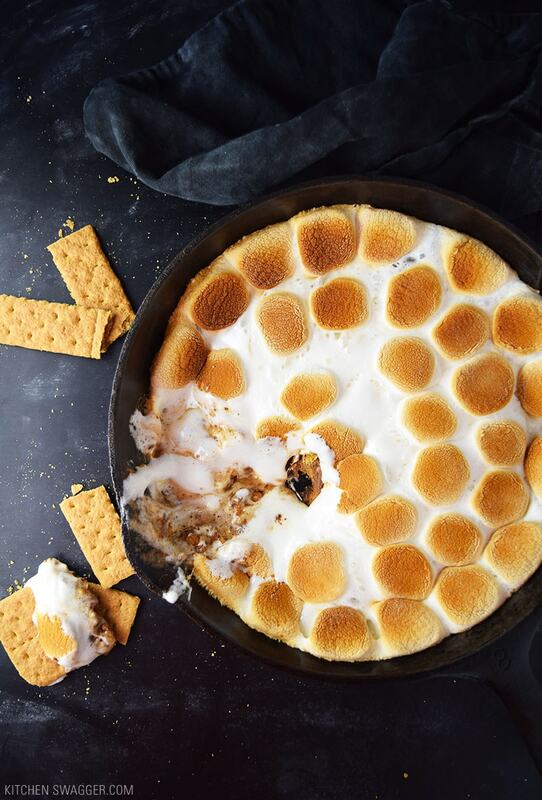 bake for 8-10 minutes until marshmallows are golden brown. 1. Best served immediately before marshmallows harden. Recipe ideal for 8 inch cast iron skillet. If using larger skillet, double recipe. 2. Alternatively, you could make with 1-2 cups of chocolate chips or chopped Hershey’s chocolate. I can’t wait to try this!!!!!! Thank you! It looks Amazing!